← Storefronts comes to the Seattle Waterfront! 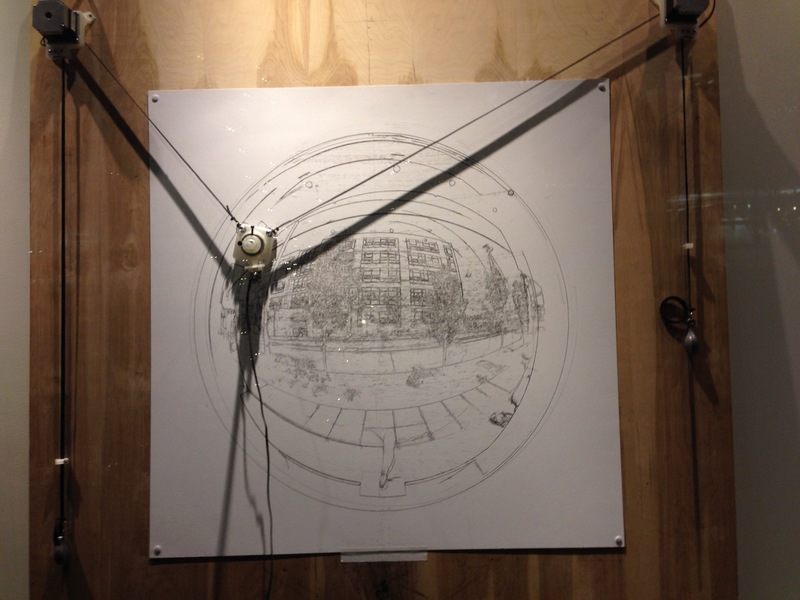 Using a CNC plotter, 180º circular fisheye, and computer vision software to record a layered image of place, Robert Twomey’s Convex Mirror explores the progression of time via an automated drawing machine and window-mounted camera. Part of the ongoing Storefronts project featuring eight artists in the South Lake Union neighborhood, this project will document the Harrison and Boren intersection over time during the next three months, including the changing of the seasons and a building being erected on the corner, completing variations on the image about once a week. Completed drawings will be featured in the space, providing a graphical, digitally generated record of this particular place at this particular point in time. Storefront window courtesy of Amazon.